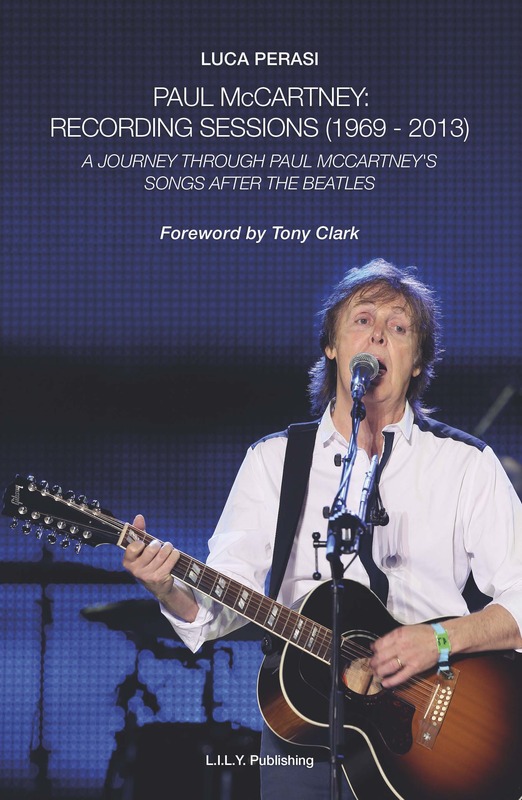 In something of a first in the publishing world comes a new book detailing the background to every Paul McCartney song, from McCartney (1969), to New (2013). 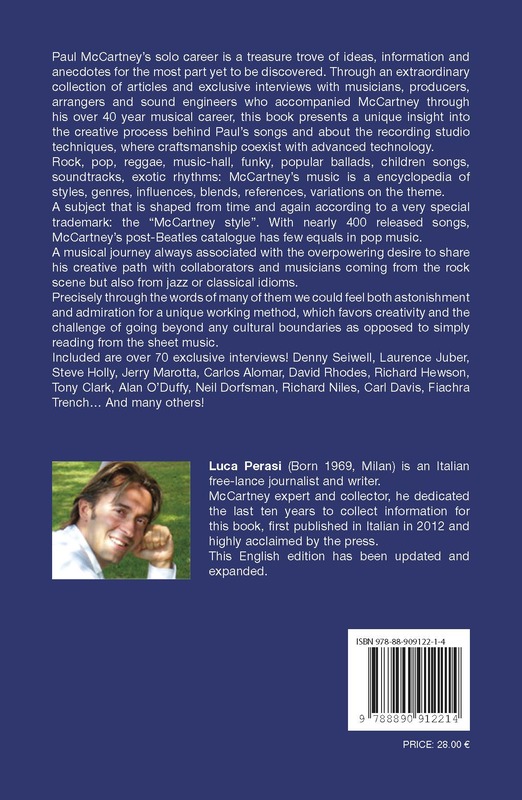 McCartney’s Songs After The Beatles” is written by Italian author, researcher and collector Luca Perasi. It details the stories behind each of McCartney’s 383 compositions in their chronological order of recording. There are recording dates, studios and who played what on each song. The book includes 70 exclusive interviews with the musicians, arrangers, producers and collaborators who worked with McCartney through the years, including Denny Seiwell, Laurence Juber, Carl Davis, Neil Dorfsman, Jerry Marotta, and Steve Holly…to name just a few. The foreword is by long-time Abbey Road Studios recording engineer Tony Clark. This entry was posted in Beatles, Beatles Books, Beatles Music, Paul McCartney and tagged Beatles, Beatles Books, Paul McCartney, Recording Sessions by beatlesblogger. Bookmark the permalink. This looks like quite an ambitious piece of work, but based on the many typographical and grammatical errors on the blurb, I suspect it wasn’t professionally translated to English. I could be wrong, as I’ve not seen the inside, but that alone would put me off buying it.